I decided to try my hand at knitting at least a few squares for Simply Knitting’s campaign to get knitted blankets for Refuge. 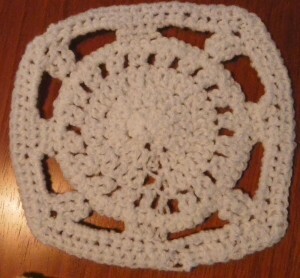 My first attempt for this was the knitted hearts square. The only squares I’d ever tried to knit before that were knitted from the base up, and never really came out particularly square. 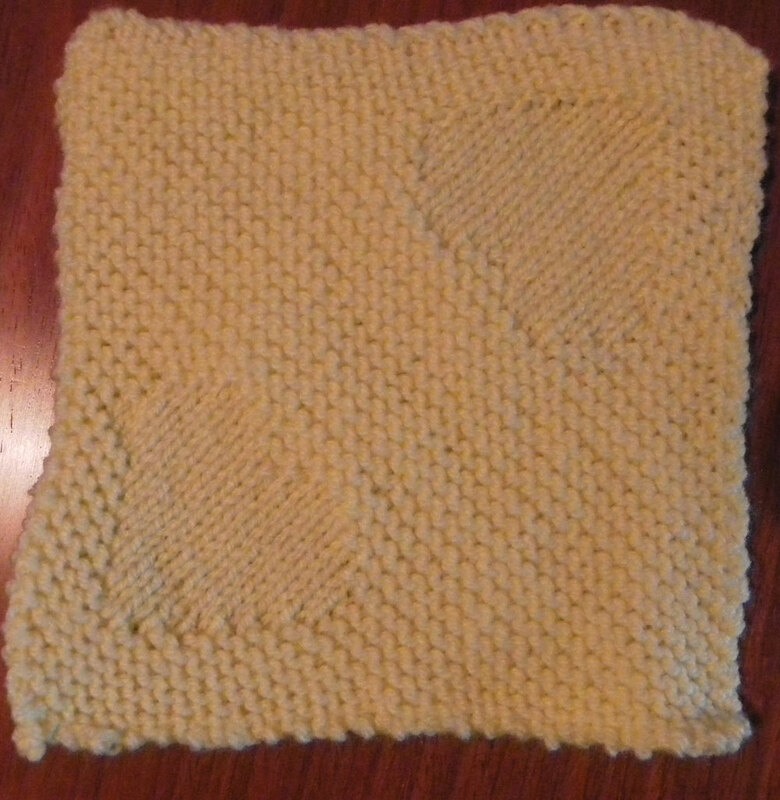 This one was knitted from the corner, starting with one stitch, then knitted along the diagonal, so it came out a lot better than my previous “squares”. Having finished that one, I bought the set of patterns, and noticed a crochet square pattern lurking in there. Now the only things I’ve managed to crochet before, have been a jumper for a teddy bear, and a hairband (crochet patterns look so confusing I’ve never got further than the first line). But I decided to perservere with this one, and see how far I got. I got so lost on “dc in ch 1 sp” that I gave up at that point, and turned the first two into circular coasters for Gran’s birthday(! ), but with the help of the “I love Crochet” book I’d recently purchased, I found out what that bit of the pattern meant, and tried a third square. “I love Crochet” also came in useful, even if it is in US terminology, when I couldn’t find any reference to “double treble crochet” in my Simply Knitting crochet guide – I’m assuming it’s the same as the US treble crochet…. at the end it looks near enough the same as in the pattern picture. Don’t think they came out too badly, all considering 🙂 Seeing as I’ve done a couple of crochet squares, it’d most likely be an adult’s blanket rather than a kid’s one, so that’s 9×7 squares (63 all together). Only another 60 to go…. ….maybe I’ll aim to complete this by winter 2012?! 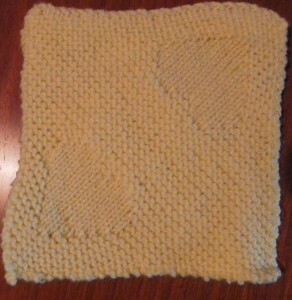 This entry was posted in Knitting on August 11, 2011 by Sewist.